There's an old maxim in politics that "if you shoot at the king, you better kill him." That, of course, means that when you aim to take a political foe down [politically], you better be successful or that political foe will be an even greater foe with greater power than he had before you tried to defeat him. Maybe that should have been in Obama's political primer, Alinsky's "Book of Radicals." Then maybe he wouldn't have tried so hard and so obviously to defeat his political "enemy", Benjamin Netanyuahu of the Likud Party and the Prime Minister of Israel. The reason Obama looks like he made a huge mistake trying to take down the king [Prime Minister of Israel] Bibi Netanyahu is because the exit polls are in and are almost unanimous in their results that Likud, after being 4-5 seats behind the leftist Zionist Union only days before in every pre-election poll, has pulled even or slightly ahead of the Zionist Union Party and therefore, Benjamin Netanyahu will almost surely be the one able to garner a majority coalition in the Knesset. That means Bibi will retain his Premiership! Prime Minister Bibi Netanyahu, what a sweet sound! This from the Times of Israel: "TV exit polls Tuesday night showed Prime Minister Benjamin Netanyahu of Likud set to retain the Israeli leadership at the end of a bitter election campaign." "Likud ahead or level with Zionist Union in all 3 exit polls, better placed to build coalition; Netanyahu’s efforts in final days drew him level with Herzog; delight in Likud, dismay in Zionist Union." And also, this just in. Benjamin Netanyahu, the leader of the Likud Party has declared victory. The Drudge Report headlines: "Bibi Stays" with a picture of a dismayed Obama over those headlines. 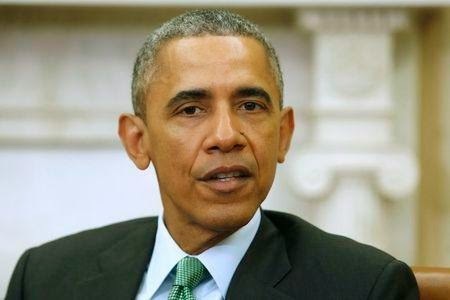 So, Obama went after the king but he didn't kill him [politically], and that means instead of Bibi being out of there, which Obama was hoping, Bibi, by facing this challenge will now be a stronger Prime Minister than ever and an even bigger foe to the non-supportive of Israel, president of the United States. I heard on Israel radio, Tuesday afternoon after the polls had closed and the exit polls came out that "it seems like the Obama White House effort to unseat Prime Minister Bibi Netanyahu have been totally wasted." YES! If Obama thought Bibi was tough to deal with every day before this election [as he was heard whispering to French president Sarkozy on an open mike], I predict he ain't seen nothing yet from Bibi! Bibi has Obama "Bewitched, Bothered and Bewildered"
I think by Obama overplaying his hand, in the end this has really strengthened Prime Minister Netanyahu. Because Bibi has overcome our devious antagonistic president, this makes him stronger than if our president would have remained neutral. Make no mistake about it. A Bibi win is a huge win for Israel, and a huge loss for Barack Obama. Breaking News: This just in from the Jerusalem Post. It wasn't even close baby! Check out this headline on early Wednesday morning: Israeli elections take dramatic turn as official tally gives Likud sweeping victory: "With 99 percent of precincts reporting before dawn on Wednesday, the Likud has emerged as the clear, undisputed victor in the elections. According to the official up-to-the-minute tally, Likud wins 30 seats while Zionist Union comes in second at 24 seats."